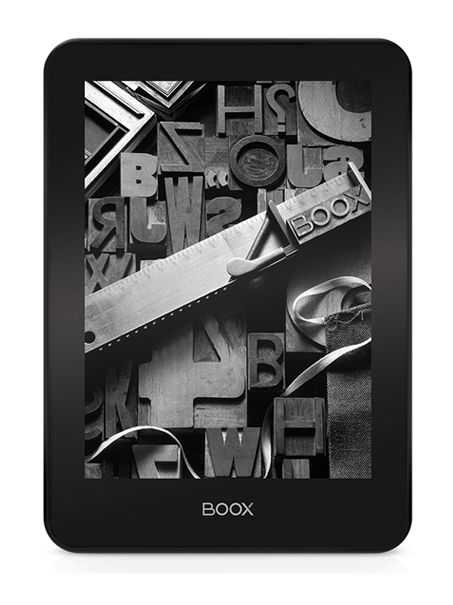 First announced in late April and then shown off to the public in June, the Boox Kepler Pro is Onyx's answer to the Kindle Paperwhite. It's a 6" ereader which runs Android, and now it is available online from Banggood - at a premium price: $233. That is a little much to ask for this ereader. While it is several steps nicer than the Paperwhite, it's not $100 nicer. Like many other ereaders, the Kepler Pro sports a 6" Carta E-ink screen with frontlight, a capacitive touchscreen, and a screen resolution of 1442 x 1072 (300 PPI). The Kepler Pro weighs 205 grams and has an aluminum shell which was supposed to be waterproof, but I can't find any mention of that in the listing. Inside the case you will find Android 4.0 running on a 1GHz CPU with 1GB RAM, 16GB internal storage, and a microSD card slot. There's Wifi, Bluetooth, and a 3Ah battery, but no audio. All in all that is a nice ereader, but not nice enough to justify the high price. You can get the 8" Kobo Aura One for about the same price (except it's not in stock right now). And digging around on Banggood reminds us that the Onyx Boox C67ML also has this screen, runs Android 4.2, and costs only $145. Of course, the C67ML only has half the storage but that can be fixed by inserting a microSD card. So what good is the Kepler Pro, then? If this can access google play books, then it is Gooooood…. I’ve been looking for an e-ink display ereader that runs android so I can access all my play books for ages! Is there a better choice? Kobo Aura One, it seems, is *always* out of stock on their site. Kinda makes you wonder why, doesn’t it? It’s in stock in stores – Best Buy has it, Chapters / Indigo has it… just not in the Kobo site. I think they’re playing nice with their retail channels, given the upcoming Christmas shopping season.